My post about the TYT TH-9800 got Nate thinking and the result is the following open letter from him to TYT. It is no secret that Chinese radio manufacturers like following the lead of other successful brands for a good reason, they sell. The problem is that instead of bringing new ideas (or even good old proven ideas) they start playing with different packages and name labels which just add to the consumer's confusion, and doesn't generate more sales (writing "Hot 2013" in-front of last year's product doesn't really do anything). 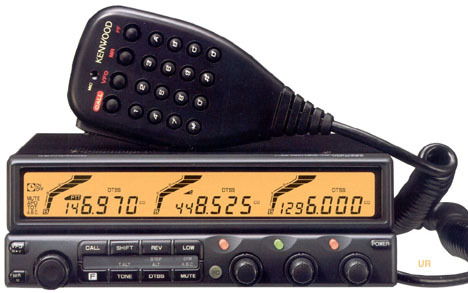 I think TYT/Baofeng/others should "re-create" a very successful radio series Kenwood had in the 1990's, the Kenwood TM-642 / TM-742 / TM-842 / TM-942. Today's technology should be able to cut down costs, and since TYT don't currently have any Dual band mobile radios, it wouldn't compete with other products they are already deeply invested in (which is probably why Kenwood stopped making them). Creating a radio as a platform has many advantages, such as quick design phase, simple to manufacture, test, repair, and certify which saves the manufacturer money and lets the buyer get what they need (think how successful was the IBM compatible PC and how it shaped forever the computers we use today). Radio as a platform means that the manufacturer will spend the time designing the radio itself, as a unit with a CPU, display, buttons, memory banks, software, speakers, RF, data and microphone jacks and expansion slots for modules , and than produce simple modules that will answer the demand from ham radio operators, and commercial entities world wide. Modules: Each module should contain the specific RF parts for the band it is designed for such as Frequency generators, Mixers, Filters, and Power amplifiers. There are at-least 9 Amateur bands that should be made: 10m, 6m, 4m, 2m, 1.25m, 70cm, 33cm 23cm and 13cm. Some of these bands can be used for commercial needs as well, if the software allows locking the radio to specific memory channels, and of-course if there is a need for a different band, all they need to do is create the appropriate module. I'm going to concentrate in the question: Why can Chinese manufacturers count on revenue from selling modular/platform radios to ham radio operators world-wide? 1. Both in the Americas (1.25m and 33cm) and Europe (4m) these old/new bands are gaining a lot of popularity, while there is very little equipment for these bands being sold today, whoever is going to fill up the gap is going to win this game. 2. A lot of hams around the world can enjoy the universal bands of 23cm and 13cm, that the only reason why these aren't popular is that there is virtually no radios for it in a decent price. 3. 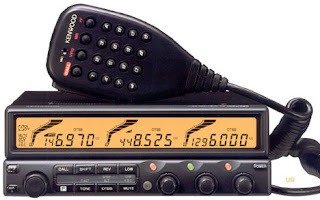 There are no new triple band radios being made today, and if you look in eBay for any of these old Kenwood triple band radios, you'll see they still bring a very pretty penny (a lot of money) even after 20 years!!! 4. It will be very hard for hams to resist buying one radio to get into one more band, if they have their traditional 2m/70cm in it too, for example 2m/1.25m/70cm in the US and 4m/2m/70cm in Europe, and new hams looking for their first radio would want to get one too. 5. Buying more than one: I think that if there will be such a wide availability of all these bands, some hams will buy a second or even a third radio. Some hams will buy them for redundancy, some because they are collectors (these hams will probably buy all the module options), also a lot of hams put these mobiles in their cars, and since these will have the ability to have unique bands (bands they can't access on the their base station) , they will want to get at-least one more for the home too, and let's not forget these repeater owners that will get them just to extend the capability of their multi-band repeaters. 6. Increasing sales and Accessories: these radios will require tri-band antennas for different band options, duplexers, and triplexers, this will add the manufacturers more revenue. 7. Innovation sells: look how much time and effort consumers put down talking about crappy poorly designed radios, in blogs, and in forums, even non shows, if there was an option to buy a triple band radios, people would most definitely buy them.